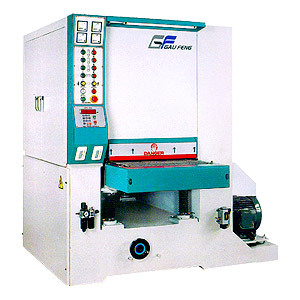 Gau Feng Machinery Co., Ltd.
Gau Feng Machinery Co., Ltd. manufactures and supplies diverse types of belt sanders and tenoner machine that can be made according to client’s specifications. Our products are widely used in copper, iron, aluminum, tin, and wood product.We have experienced technicians, researching & developing team, the most advanced manufacture equipments, and rigorous quality control policy. We are devoted in providing belt sanders and tenoner machine﻿ of highest quality and superior capability at competitive prices.Gau Feng Machinery Co., Ltd. operates under the management ideal of "steadily manufacture more superior plane polishing products for all production lines. "Please feel free to contact our professionally trained sales representative for more details on our fine products.